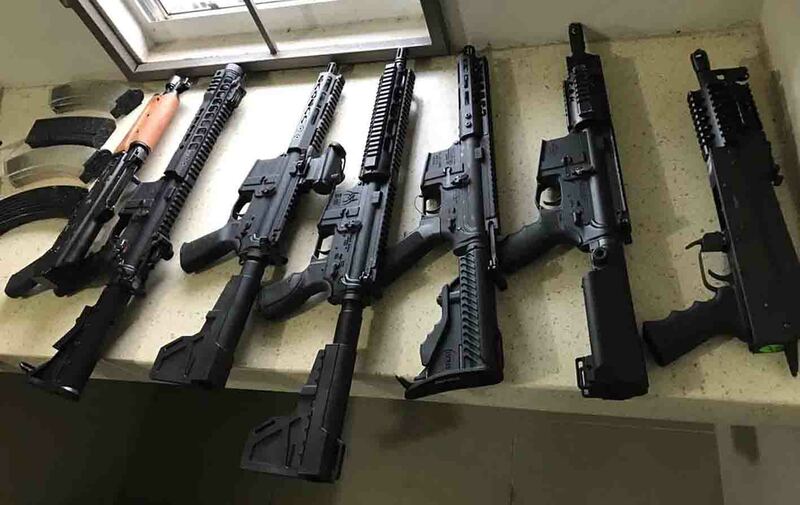 (Trinidad Guardian) Po­lice seized a cache of high-pow­ered as­sault ri­fles and an undis­closed quan­ti­ty of mar­i­jua­na dur­ing a pre-dawn raid at Munroa Road, Cunu­pia, yesterday. Im­ages of masked of­fi­cers stand­ing near the il­le­gal items were shared on so­cial me­dia. Po­lice Com­mis­sion­er Gary Grif­fith was on the scene at a build­ing along Munroe Road to con­grat­u­late his of­fi­cers. Po­lice said two sus­pects have been de­tained and are be­ing ques­tioned.